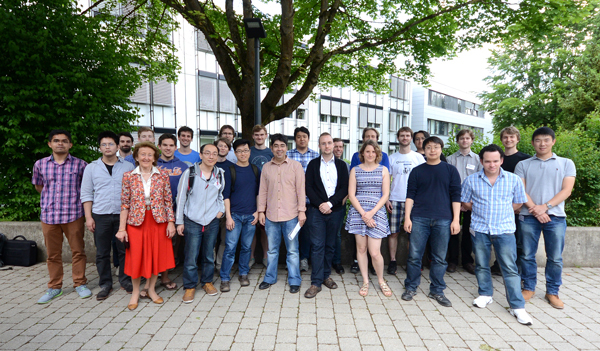 The International Max Planck Research School of Advanced Photon Science (IMPRS-APS) held its ‘Block Lectures’ for the third time last week. 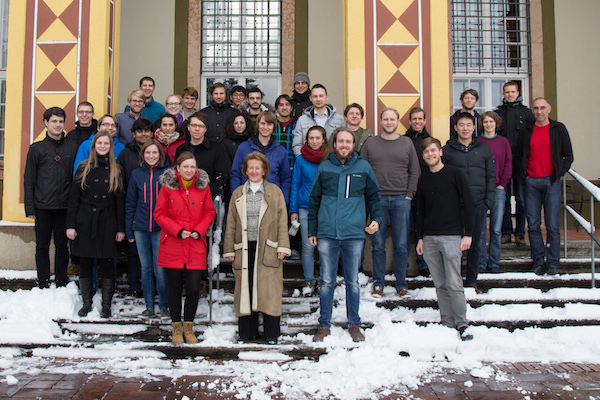 From 18 – 21 February, IMPRS-APS postgraduates had the chance to attend classes by renowned scientists from the Max Planck Institute of Quantum Optics and abroad. 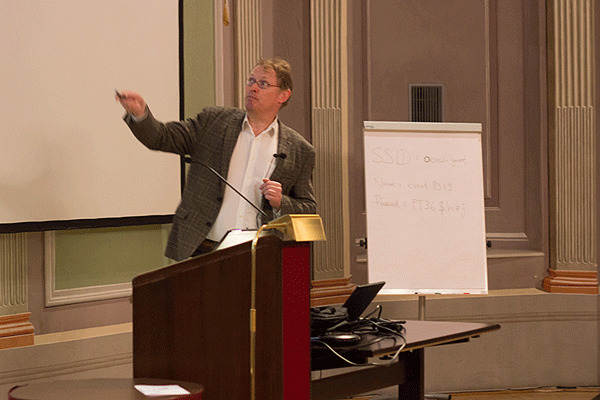 The lecture series was inaugurated by Romeo Kienzler, chief data scientist at IBM Watson, with his keynote presentation on deep learning. 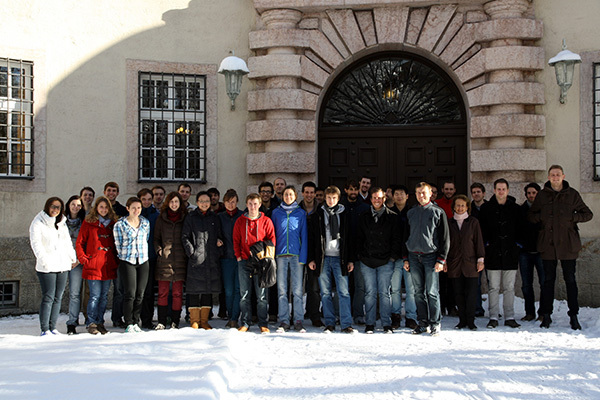 On the remaining days, lecture topics ranged from attosecond to femtosecond and frequency comb spectroscopy. 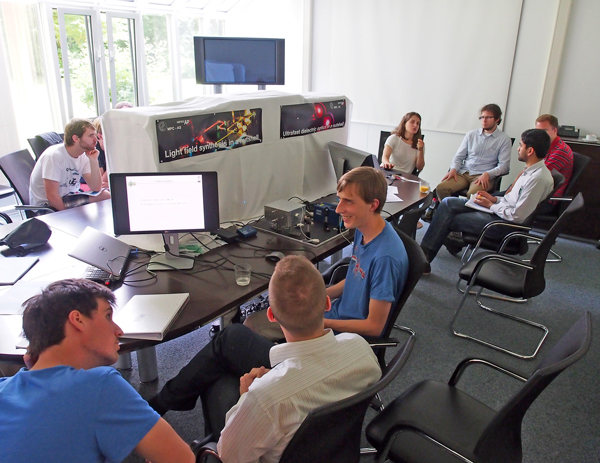 Between talks, students had the opportunity to engage directly with the lecturers during discussion sessions. 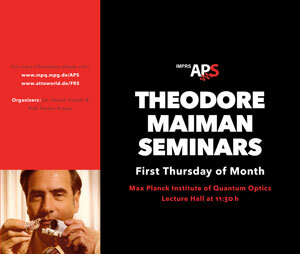 Symposium "The Science of Light"
The International Max Planck Research School (IMPRS) symposium for the Science of Light is a joint initiative between the graduate schools (IMPRS-PL and IMPRS-APS) of the Max Planck Institute for the Science of Light (MPL) and the Max Planck Institute for Quantum Optics (MPQ). 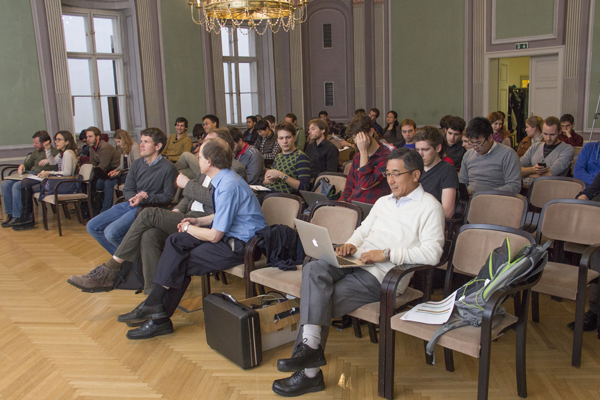 With this symposium, we plan to bring 100 students together with leading scientists from diverse physics communities, covering the topical range from technical and classical optics, imaging technologies, optical manipulation, nano photonics, non-linear optics, quantum communication, ultrashort pulses generation and more. 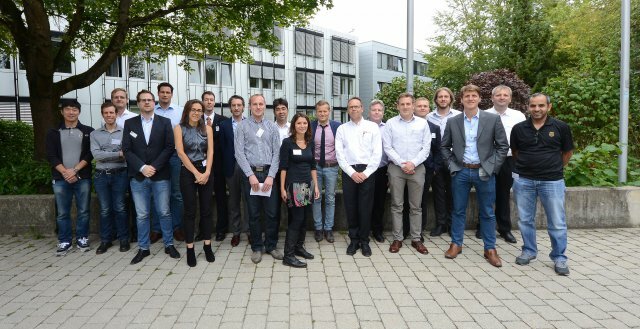 The seminar will provide excellent opportunities for young researchers to get introduced to the current leading research in the above-mentioned areas. 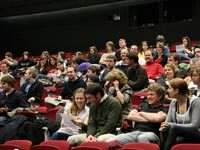 In addition, it will foster the discussion between guest speakers and attendees by providing joint social events each evening. 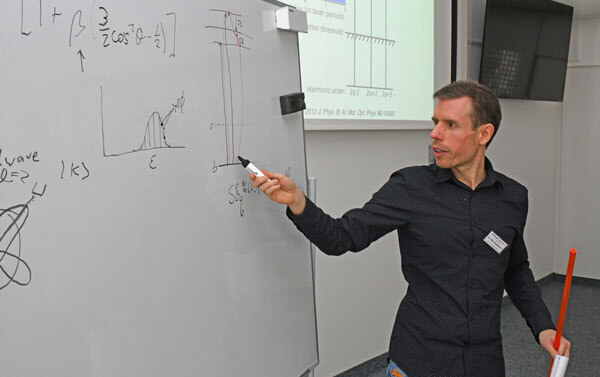 Symposium "Future of ultrashort pulses II"
The availability of waveform-controlled, intense, few cycle laser fields has radically expanded the ability of scientists to peer into the dynamics of atoms and solids on few-femtosecond or even attosecond time scales. 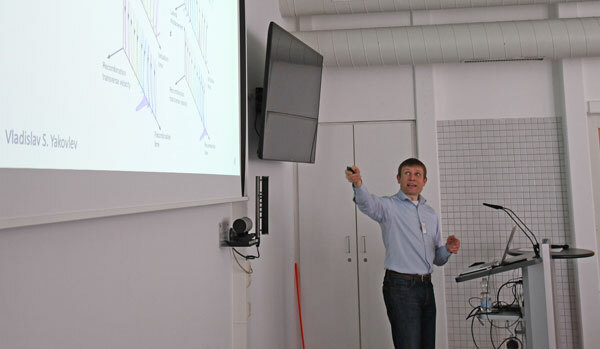 This research in the field of attosecond science has hinted at the potential for new discoveries that may be unlocked by new developments in laser science to confine more and more energy into smaller and smaller packages to be precisely delieved to the systems under study. Additionally, control over the exact evolution of the laser's electric and magnetic fields allows for unprecedented flexibility in the manipulation of the dynamics as they unfold. The question now is: where do we go from here? What can be done to continue the advancements in pulse generation that have made these advancements possible, and what kinds of developments are necessarily to realize the goals of the next generation of researchers in the field? 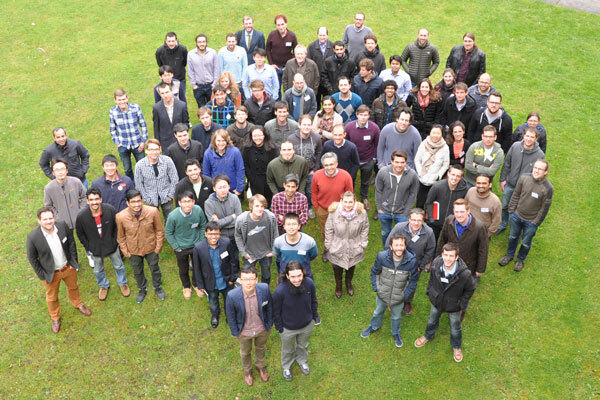 Symposium "Future of ultrashort pulses"
Joint IMPRS-MPC-AS workshop on "Attosecond Photonics"
For 10 years now at the Administrative Headquarters of the Max Planck Society I have been overseeing the International Max Planck Research Schools eventprogrammme designed jointly by the MPS together with the German University Rectors Conference. 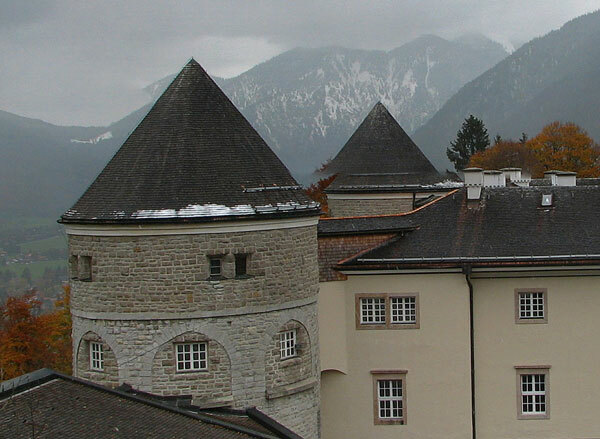 Thus far, almost 60 Research Schools have been established: more than 2200 doctoral students are currently working on their doctorates at an IMPRS. 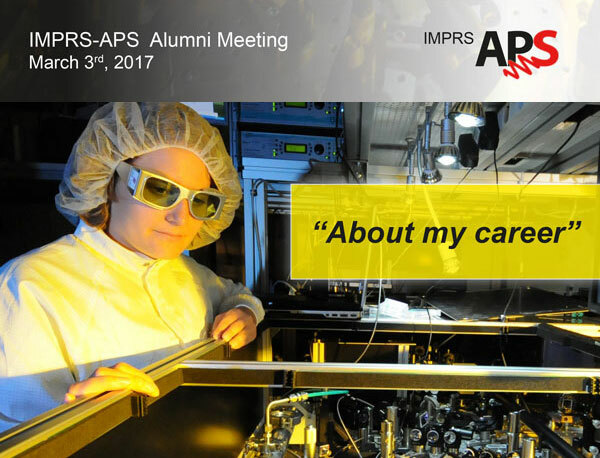 The majority of the IMPRS are interdisciplinary, dealing on the one hand with very specific issues, while on the other hand addressing issues of a fundamental nature. 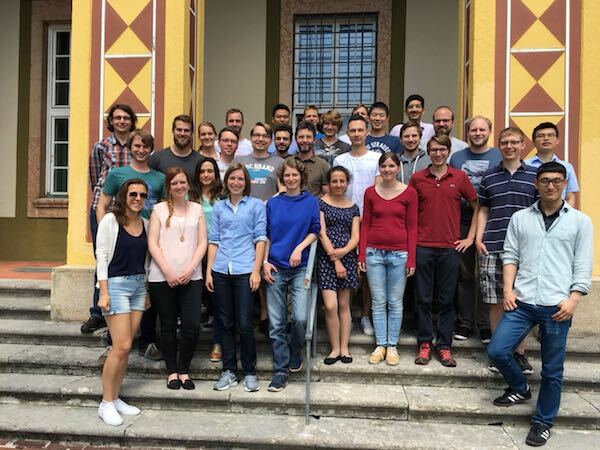 The same may be said of the "New Frontiers in Science" symposium which is taking place for the 3rd time in the Munich area, organised by PhD students from Martinsried, Munich and Garching. 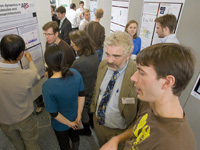 Once again this year, the agenda for the symposium features some important scientific questions, both of future relevance and with a connection to the past, as well as with reference to the great role models of science: a wonderful opportunity for junior researchers to exchange ideas with successful senior scientists and even Nobel Prize winners! 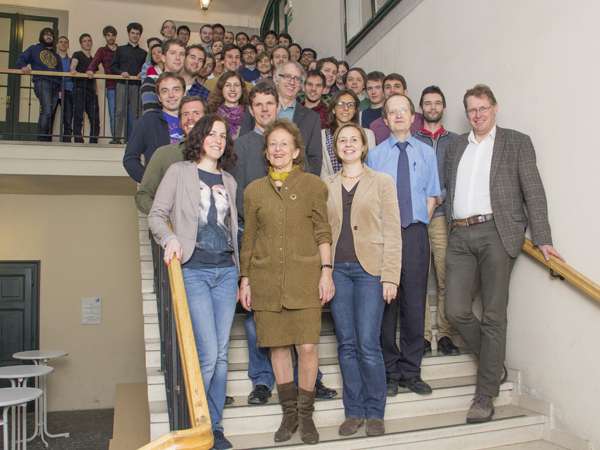 President Gruss addressed the PhDNet of the MPS, saying: "Particularly in the natural sciences, teamwork is the secret to success…It is important to work in a congenial atmosphere; … creative centres are needed where a sufficient number of brilliant scientists can mingle and motivate one another." 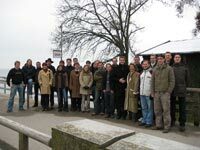 This symposium organised by doctoral students takes us precisely in this direction! I wish the organisers of the symposium every success, and I hope that all those attending will enjoy many fruitful discussions and encounters! 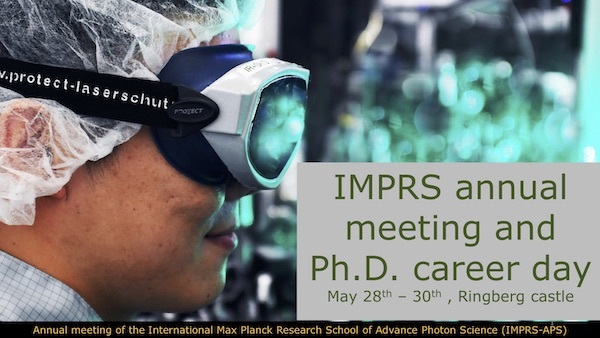 The "International Max Planck Research School of Advanced Photon Science" (IMPRS APS) and the Cluster of Excellence "Munich-Centre for Advanced Photonics" (MAP) of the German Research Society offer a joint summer workshop for their PhD student members. 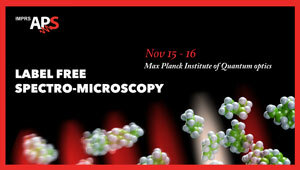 Lectures will be given by world-class experts both from within MAP and IMPRS and from outside. Interdisciplinarity promotes the overlap of professionals with largely different languages, backgrounds, training, and expertise to solve problems whose solution lies outside a single discipline. To ensure productive and stimulating interactions across disciplines it is essential that people meet, interact and learn the language and school of thinking of the "other" discipline. 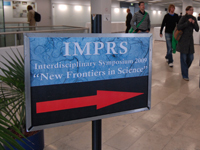 The international Max Planck Research Schools (IMPRS) in Munich are organizing a two-day interdisciplinary symposium. The first day focuses on the relation between "Art and Science". The second day aims to present the state-of-the-art research in physics, chemistry, biotechnology and medicine, as well as the responsibility of scientists towards society and environment for a sustainable future. 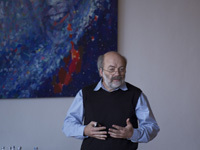 Interdisciplinary Symposium in the great area of Munich & "New Frontiers in Science"
"It is a pleasure for me that my Dr. Father and Teacher, Prof. Herbert Walther, is being honoured by the lectures series "New Frontiers in Science." He was an outstanding scientist and a very successful researcher. 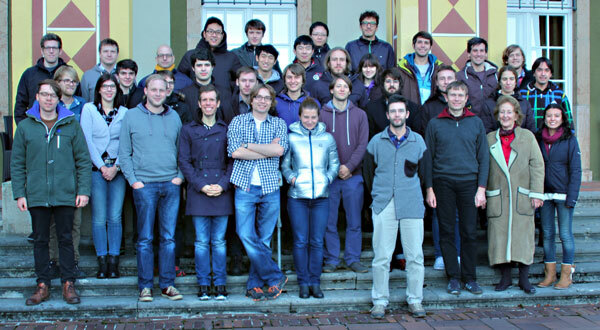 His students continue his work throughout the world. The symposium wants to foster communication, networking and scientific information exchange between representatives from different faculties and life areas. 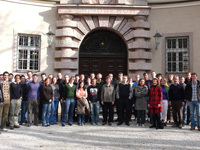 This is of great importance, due to the increasing interdisciplinary character of research. 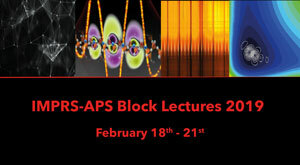 I wish all the participants not only success, but also enjoyment in the fascinating scientific knowledge that will be presented in the lectures series". "The earliest bio-macromolecules on the young earth must have been self-replicative and enzymatically competent. In the modern world only RNA has these properties and is therefore believed to mark the origin of live. With the advent of DNA and proteins two players appeared during evolution which are much superior in one of these activities but incapable of the other. DNA is a perfect self-replicating molecule and proteins are excellent catalysts, respectively. Self-replication appears to be a relatively simple chemical process while catalysis is often extremely complex. It is not surprising therefore that biochemical research focuses on proteins with surprising discoveries made with any system and any time. 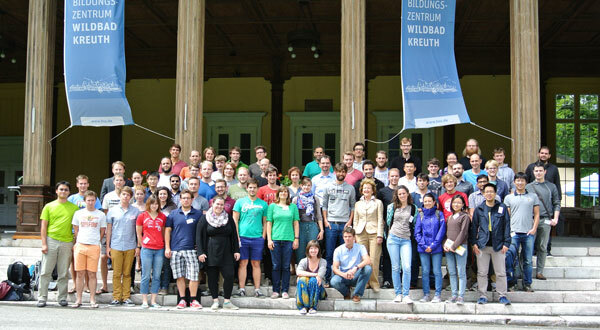 I hope that proteins and their fascinating structures and properties will play an important role in the discussions during the Symposium of the stipends of the International Max-Planck Research Schools in Munich and catalyse the exchange of ideas of students from different disciplines. The input from fresh minds is essential here as in any other field of research".